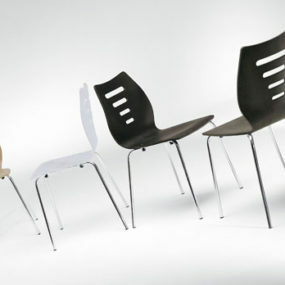 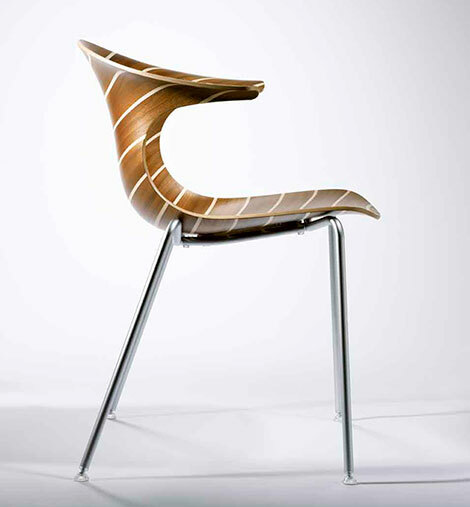 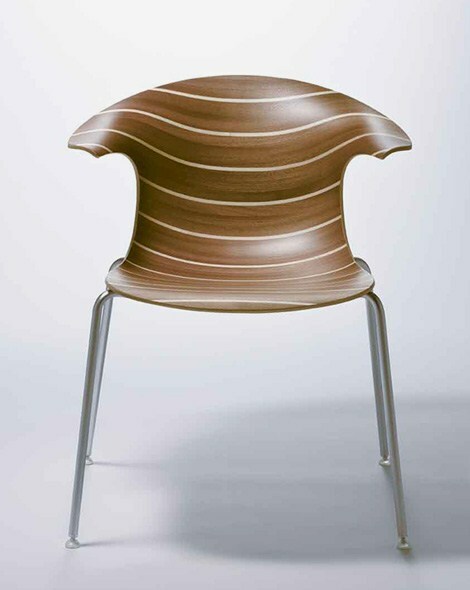 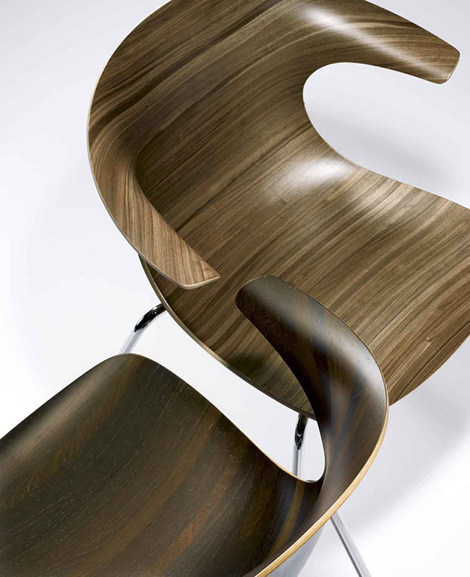 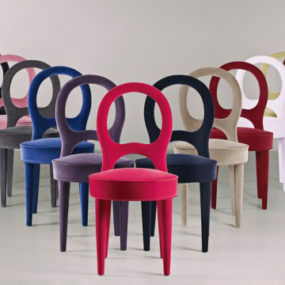 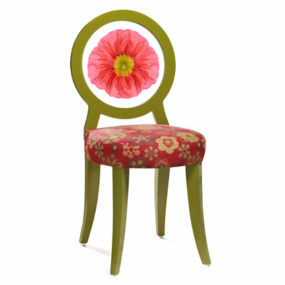 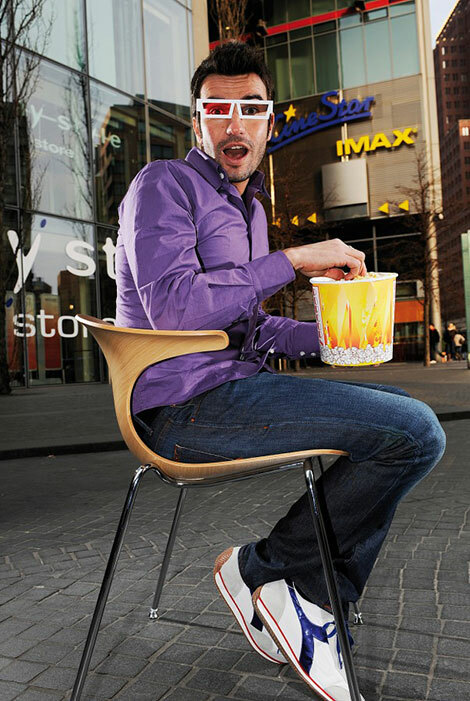 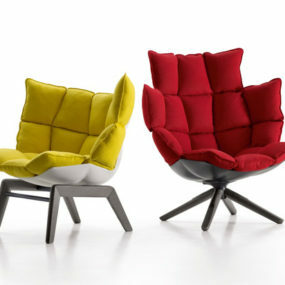 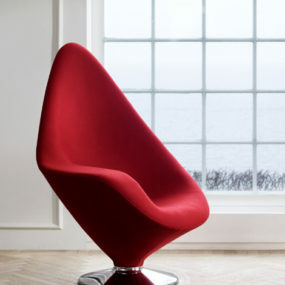 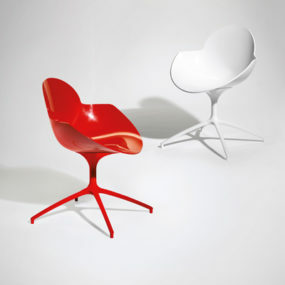 These cool modern chairs by Italian company Infiniti Design may be simple, but they’re anything but plain! 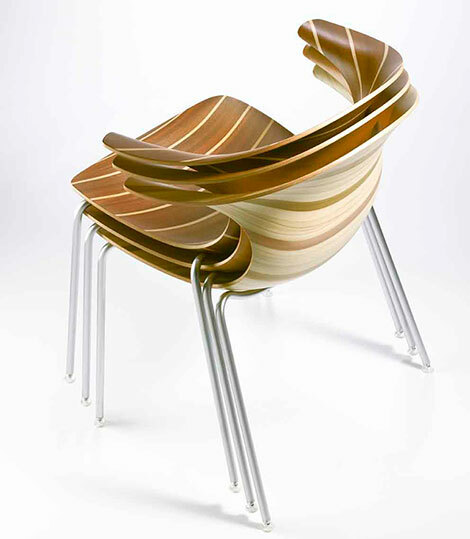 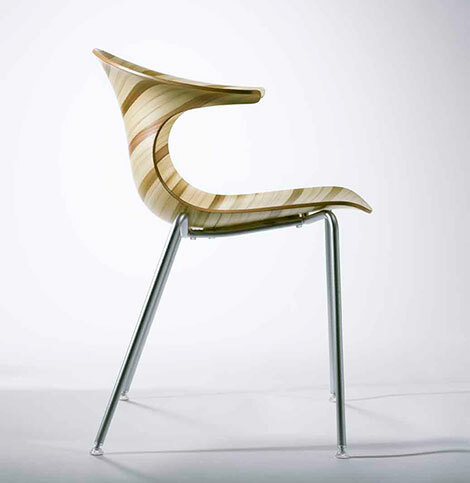 The Loop 3D Vinter chairs feature a slim body and dainty chrome or satin-finish legs, leaving center stage open for their subtle curves and bold wood-grain patterns. 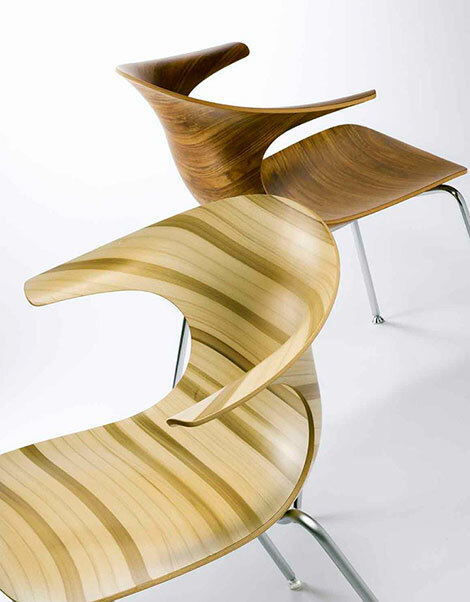 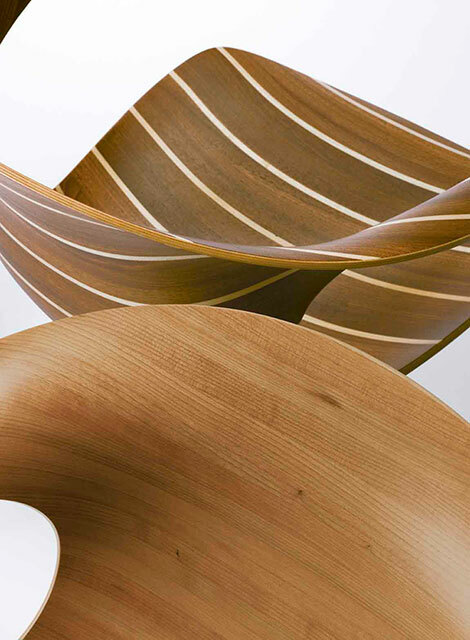 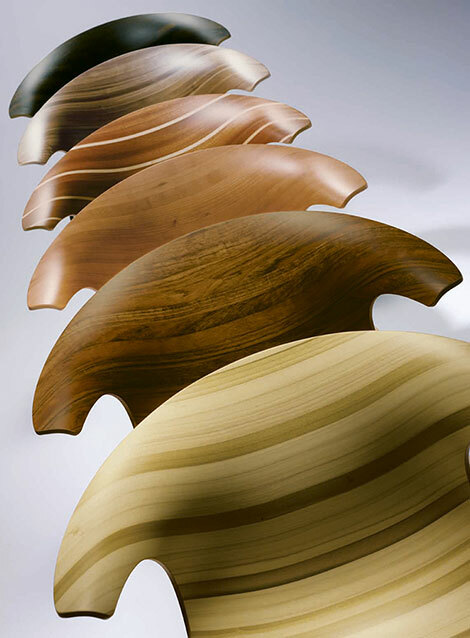 Shaped using 100% natural materials, the modern three-dimensional curves of the chairs incorporate the seat, back and arm rests with grace. 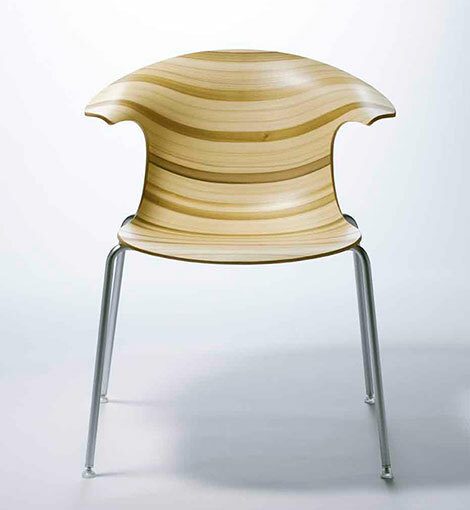 Available in a range of rich, natural wood finishes, each characteristic for its color and particular pattern, these cool chairs can be coordinated in your kitchen or dining room, or mixed and matched in your living areas for an eclectic, contemporary look in your home. 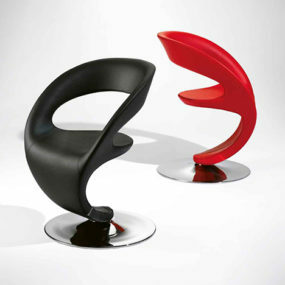 Check them out at Infiniti Design.